German Amed Rosario graduated from Centro Educativo Rosario in Santo Domingo, DR...Donates cleats, equipment and clothing to area children in his hometown...Enjoys watching movies, going out to eat and shopping in his free time...Helped underprivileged families by taking them a holiday shopping spree during the winter in each of the last two years. Made his first Opening Day roster...Finished tied for sixth in the National League and tied for 11th in the majors with 32 hits in September...Hit .283 (32-113) in the last month of the season...Hit .294 (62-211) over his final 50 games with a plate appearance with nine doubles, two triples, five homers, 23 RBI, 36 runs scored and 15 steals...Finished with 18 steals in the second half, second-most in the NL...Was tied for ninth in the NL with 43 runs in the second half...Had a career-high 51 RBI...The last Mets to drive in more than 50 runs at age 22 or younger were José Reyes (58) and David Wright (102), who each did so in 2005 as 22-year-olds...His 24 stolen bases was tied for seventh in the NL...Was successful in 23 of his last 30 attempts (76.7 percent) after being caught in four of his first five attempts...Became the 33rd player in franchise history with a 20-steal season and the fifth Met overall with at least 20 steals in a season before his age 23 season, joining José Reyes, Gregg Jefferies, Darryl Strawberry, Lee Mazzili, David Wright and Lenny Dykstra...The last Met to have more than 20 steals in their age 22 season or younger was José Reyes (60), who did so as a 22-year-old in 2005...Had a career-high eight triples, tied for seventh-most in the majors...Since August 1, 2017 (the date of his MLB debut), Rosario has 12 triples, (Arizona's Ketel Marte and Cincinnati's Billy Hamilton has 14 each, and Seattle's Dee Gordon have 13)...Had a career-best eight-game hitting streak twice: June 14-22 and August 27-September 5...Hit .333 (10-30) in the first streak, and .432 (16-37) in the second...Finished the season leading the Mets with 46 hits, eight stolen bases and 28 runs scored in the seventh inning or later...Went 4-7 with his second leadoff homer of the season, three RBI and four runs scored in Game 1 of a doubleheader at Philadelphia on August 16...The four hits and four runs were career-highs while his three RBI tied his career high (finished the season with four three RBI games)...Hit his first career leadoff homer on August 13 at Yankee Stadium...Was the fifth time a Met has hit a leadoff homer vs. the Yankees...The other four were Brandon Nimmo (June 8, 2018), Curtis Granderson (April 26, 2015 and August 3, 2016) and José Reyes (June 19, 2010)...Set a career-high with two triples on July 10 vs. Philadelphia...Recorded his first career multi-homer game with his two-homer performance on May 20 vs. Arizona...Hit a game-tying home run in the sixth before hitting another solo shot in the seventh...The multi-homer game was his first in his professional career...His multi-homer game came out of the ninth spot in the order, only the fourth time in team history someone in that spot in the order recorded a multi-homer game...The others are Curtis Granderson (August 30, 2016 vs. Miami), Noah Syndergaard (May 11, 2016 at Los Angeles-NL) and Walt Terrell (August 6, 1983 at Chicago-NL). Was recalled from Las Vegas (AAA) of the Pacific Coast League on August 1...At age 21, Rosario was the youngest Met to debut since Dilson Herrera, who was 20 when he appeared in his first game with the Mets on August 29, 2014...Rosario was the sixth-youngest player in the majors at the time of his debut...Recorded his first major league hit with an infield single in his major league debut on August 1 at Colorado...Grabbed his first big league RBI with his first career triple on August 2 at Colorado...Tripled in two of his first three career games and is the first Met in team history to do so...Was tied for fourth among NL rookies with four triples...Hit safely in each of his first four games with an at-bat...The last Met to do so was Daniel Murphy in 2008...Missed five games (September 4-8) with swelling in his right index finger...Also missed a series in Miami (September 18-20) with gastroenteritis...Spent a night at the University of Miami hospital...Hit a go-ahead home run in the ninth inning on August 11 at Philadelphia for his first major league homer...At 21 years, 264 days, Rosario became the youngest Mets player to generate a go-ahead homer in the ninth inning or later -- first MLB homer or not -- since David Wright hit one at 21 years, 243 days on August 19, 2004 at Colorado...Research courtesy of Elias...At the time of his home run, only three active major leaguers hit their first home run as a go-ahead homer in the ninth inning or later...They were Javier Baez (2014), Jay Bruce (2008) and Miguel Cabrera (2003)...Research courtesy of Elias...Hit his second career homer with his two-run home run off Aroldis Chapman on August 15...Rosario (21 years, 268 days) and Dominic Smith (22 years, 61 days) both homered on August 15 and are the first pair of Mets under the age of 23 to homer in the same game since David Wright (22 years, 247 days) and José Reyes (22 years, 74 days) did so on August 24, 2005 in the Mets' 18-4 win at Arizona...Connected on his second go-ahead homer on August 27 at Washington in the first game of a doubleheader...According to Elias, at the time of his home run, Rosario and Cody Bellinger were the only two 21-year-olds to have two game-winning home runs in late-inning pressure situations...Batted .279 (17-61) with three doubles, one triple and eight runs scored in 17 September games...Hit .328 (129-393) with 19 doubles, seven triples, seven home runs, 58 RBI, 19 stolen bases and 66 runs scored in 94 games for the 51s...At the time of his promotion, Rosario was among the PCL leaders in hits (second), triples (tied for ninth), batting average (10th) and stolen bases (tied for third)...Was named a PCL mid-season and post-season All-Star, the PCL Rookie of the Year and participated in his second consecutive SiriusXM Futures Game...Entered the season as the Mets' top prospect according to Baseball America and was MLB. com's second-best prospect in all of baseball at the time of his promotion. Named the Sterling Organizational Co-Player of the Year along with outfielder Brandon Nimmo...Hit a combined .324 (155-479) with 24 doubles, 13 triples, five home runs, 71 RBI, 19 stolen bases and a .374 on-base percentage in 120 combined games between St. Lucie (A) of the Florida State League and Binghamton (AA) of the Eastern League...Selected to the SiriusXM Futures Game on July 10 as part of All-Star Week in San Diego...Named a Florida State League mid-season AllStar...Selected as the Most Exciting Player in the FSL by Baseball America...Had 47 multi-hit games (32 two-hit games, 13 three-hit games and two games with four hits - June 9 at Dunedin and September 1 at Altoona)...Registered a pair of four-RBI games with St. Lucie (April 23 vs. Bradenton and April 26 at Charlotte)...Batted .383 (31-81) with runners in scoring position with St. Lucie and hit .324 (23-71) with runners in scoring position with Binghamton...Had a 10-game hitting streak upon joining Binghamton on June 23...Hit safely in 20 of his first 21 games with the BMets (32-78, .410). Selected to the New York-Penn League All-Star team. August 1, 2017 New York Mets recalled SS Amed Rosario from Las Vegas 51s. April 3, 2017 SS Amed Rosario assigned to Las Vegas 51s from Binghamton Rumble Ponies. March 14, 2017 New York Mets optioned SS Amed Rosario to Binghamton Rumble Ponies. November 18, 2016 New York Mets selected the contract of Amed Rosario from Binghamton Rumble Ponies. August 5, 2016 Binghamton Mets activated SS Amed Rosario from the 7-day disabled list. July 26, 2016 Binghamton Mets placed SS Amed Rosario on the 7-day disabled list. July 14, 2016 Binghamton Mets activated SS Amed Rosario from the temporarily inactive list. July 8, 2016 Binghamton Mets placed SS Amed Rosario on the temporarily inactive list. June 23, 2016 SS Amed Rosario assigned to Binghamton Mets from St. Lucie Mets. April 6, 2016 SS Amed Rosario assigned to St. Lucie Mets from Binghamton Mets. March 6, 2016 SS Amed Rosario assigned to New York Mets. September 6, 2015 SS Amed Rosario assigned to Binghamton Mets from St. Lucie Mets. August 9, 2015 St. Lucie Mets activated SS Amed Rosario from the 7-day disabled list. July 19, 2015 St. Lucie Mets placed SS Amed Rosario on the 7-day disabled list. April 3, 2015 SS Amed Rosario assigned to St. Lucie Mets from Savannah Sand Gnats. 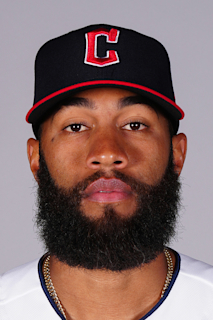 March 19, 2015 IF Amed Rosario assigned to New York Mets. September 3, 2014 SS Amed Rosario assigned to Savannah Sand Gnats from Brooklyn Cyclones. June 11, 2014 SS Amed Rosario assigned to Brooklyn Cyclones from Savannah Sand Gnats. June 4, 2014 SS Amed Rosario assigned to Savannah Sand Gnats from Brooklyn Cyclones. June 2, 2014 SS Amed Rosario assigned to Brooklyn Cyclones from Savannah Sand Gnats. May 26, 2014 SS Amed Rosario assigned to Savannah Sand Gnats from Kingsport Mets. June 20, 2013 SS Amed Rosario assigned to Kingsport Mets.